63km Gravel and Trail based Enduro including 5 timed stages. We're bringing the latest trend in cycling events to the most incredible location for gravel riding in the UK. 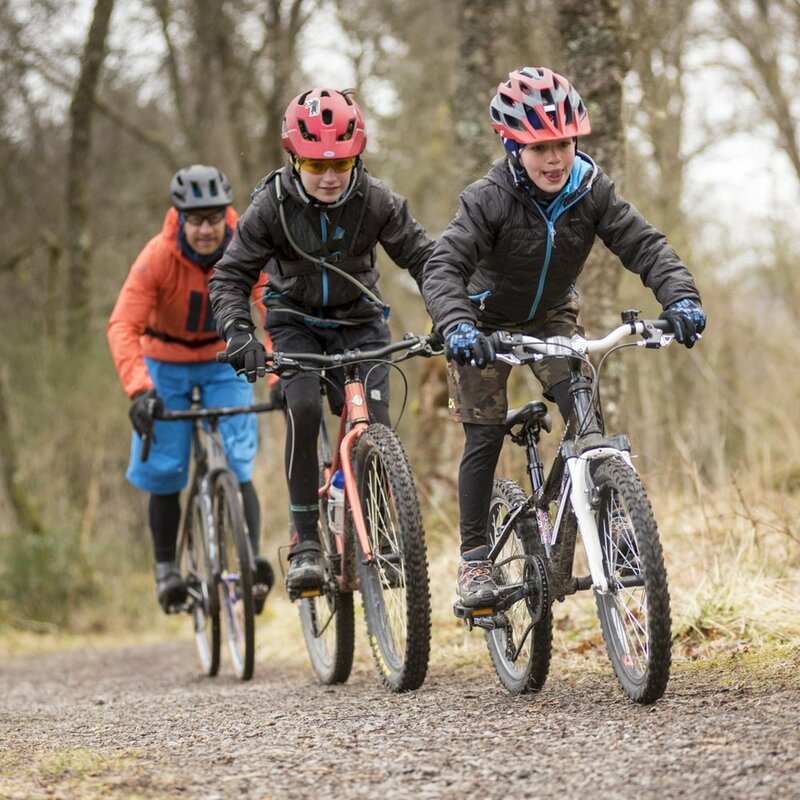 In the perfect blend of competition and social riding competitors will be treated to the beautiful Mountains, Lochs and Glens of the Loch Lomond and Trossachs National Park in a 60km loop (along with a short family route) with a minimum of 4 competitive timed stages on Scotland's finest gravel trails. Race as an individual event or as part of the blue ribbon full 'Weekender' and include Saturday night prologue on the iconic Dukes Pass hillclimb (see below for details). This stunning route will be suitable for both gravel bikes and xc mountain bikes (each with their advantages so don't ask us which is quicker!). • Full Weekend over winner (male and female) will win a beautiful Rondo Ruut Gravel bike frameset! Here’s the timetable for the weekend. Which bike for the Dukes Weekender? Many of you have been asking what the best bike for the Dukes Weekender will be? To be honest, there are lots of options. Here’s a few thoughts. Saturday night will come alive with cowbells and crowds above Aberfoyle as competitors take on the iconic Dukes Pass climb. This hillclimb will be the prologue for full 'Weekender' participants but is also available as a standalone event if you like to keep your wheels solely on tarmac! As one of the most popular road cycling routes in Scotland, this is a unique opportunity for riders to take part in a closed road, vibrant and fun atmosphere... Take in the scenery or chew on the bars it's up to you!! The Dukes Weekender also additional events running during the weekend... See below for full details. Accompanying the 60km Gravel Enduro will be events for the little riders. Following a shorter 10km route this will give the young guns a great chance to sample the gravel & trail enduro racing and get amongst the action! We're running a very special evening hosted at our local pub, The Forth Inn. Featuring films, chat and cycling royalty. The Dukes Weekender is being held in one of Britains most beautiful areas of natural beauty, with events running over 2 days including an evenings entertainment. It makes sense to come and stay, and we are aware that many people will be looking for accommodation options. We are proud to have teamed up with the fantastic Gartmore House to offer great options for all. Gartmore House itself is set in beautiful surroundings with fantastic views across the area. It is only a 2 mile pedal from the Race Village, along a riverside cycle track with approximately 400 yards along a quiet lane.